Youth is the backbone of a nation, their actions and goals decides the future of the nation. Lazy, unhealthy, uneducated, directionless, aimless, energy- deficient youth is never appreciated by any nation. 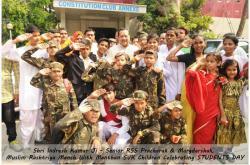 Hence, DJJS came forward to take an initiative in order to awaken and realign the focus of youth for a supreme purpose. 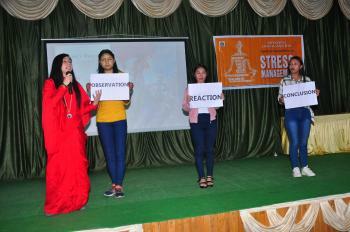 DJJS conducted a youth event based on the theme of “Uttishtha Bharat” in Divya Dham Ashram, New Delhi for 2 days. 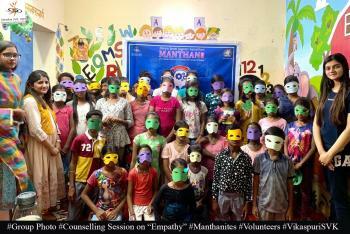 On 13th and 14th October, 2018, youth disciples gathered under one roof and decided to contribute for higher goal of life. 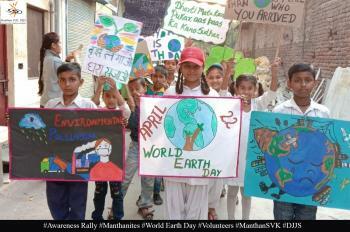 The whole event was organized by the volunteers of DJJS. Uttishtha Bharat envisions a country where people are grounded, united, spiritually awakened and are successfully leading towards the higher divine goal. 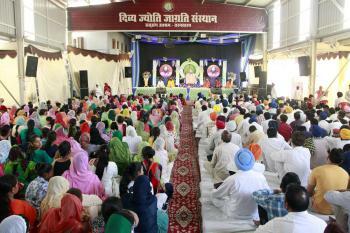 The event comprised of activities such as Yog- Shivir, Plays, Devotional Songs, Spiritual Lecture which not only enhanced knowledge and devotion but also re-directed their minds and thoughts towards the global mission of Divine Awakening and filled them with high spirits of patriotism, oneness and utmost devotion towards the master. Youth can never take up the responsibility of nation on his shoulders until he himself is physically fit, healthy and fine. 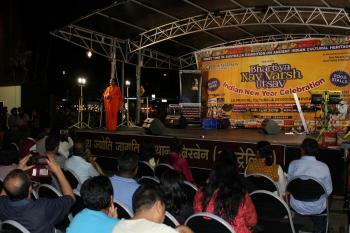 Hence, the event includes Vilakshan Yog Shivir with the help of Yoga Experts of the organization. Audience performed asanas and yoga- pranayama which improved the blood circulation, breathing process, boosts immunity and helped each one to concentrate better on the next activities. 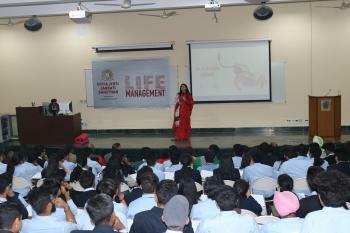 The event comprised of two plays - One based on the life of Sri Aurobindo and other one on Bullehshah. Sri Aurobindo was one such political and spiritual leader of his era, who not only contributed for nation while being in jail but also evolved as a Yogic and Spiritual Master. 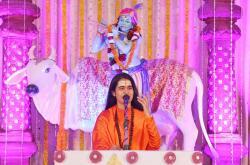 His life inspires us to become a great scholar like him and work on human evolution through spiritual activities. 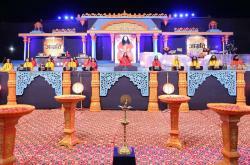 The play based on life of Hazrat Baba Bullehshah was another remarkable part of the event. Saint Sufi Bullehshah was the Punjabi Sufi poet and Scholar who devoted his entire life in the lotus feet of his Murshid. DJJS preachers interacted in a spiritual lecture and shared the life teachings of such great men who sacrificed their life and youthhood for a bigger purpose. They shared how challenges grew them up and consequently world recognized their potential, thereby created a new history. 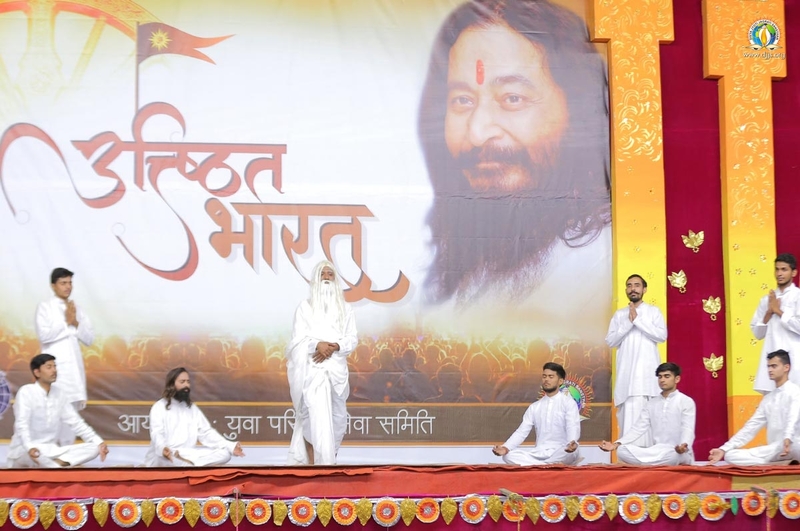 The two days of Inspirational Power packed event successfully awakened the dormant energy of youth and washed away all negativities and their doubts. Youth, once again cherished together towards their common higher goal and took a pledge to make India as Uttishtha Bharat.